The domestic goat is a subspecies of goat domesticated from the wild goat of southwest Asia and Eastern Europe. We have 2 boys, Joe and Toby, both born 2013. Joe is the all black and Toby is the black and white. They are cheeky chaps that like to cause havoc in Madagascar village. 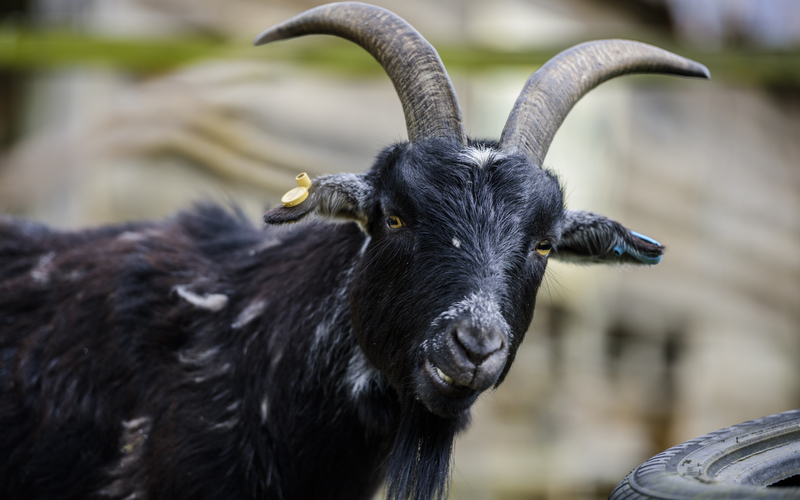 Goats are reputed to be willing to eat almost anything, they will chew on plants to decide whether it is good to eat, including things that they shouldn't. Pygmy goats can be found all over the world. They are a domesticated animal and are not under threat. Even though around one million goats are kept by farmers in Madagascar, amazingly overgrazing is not a large problem in most parts of the island.